We talk quite often about how we ought to live our lives as Christians — the things we should and should not do, which laws we must keep, the characteristics of Jesus Christ that should show up in our lives. We also talk about what motivates this way of living. If our hearts aren’t right, the outward stuff doesn’t matter. God cares about why we do what we do as much (or more) as He cares about our actions. The “why” is connected with how we view God. Are we obeying His rules because we see Him as an intimidating authority figure, or because we respect Him as Creator? Do we follow Jesus because of what we hope to get out of being Christian, or because we love Him and trust that He wants what’s best for us? Those questions are concerned with how God relates to us. Beyond that is the question of how we view God as Himself. God is the self-existent One who inhabits eternity. We often think of Him in terms of how He relates to humanity, but there’s far more to Him than that. How should we view God simply because He is God? 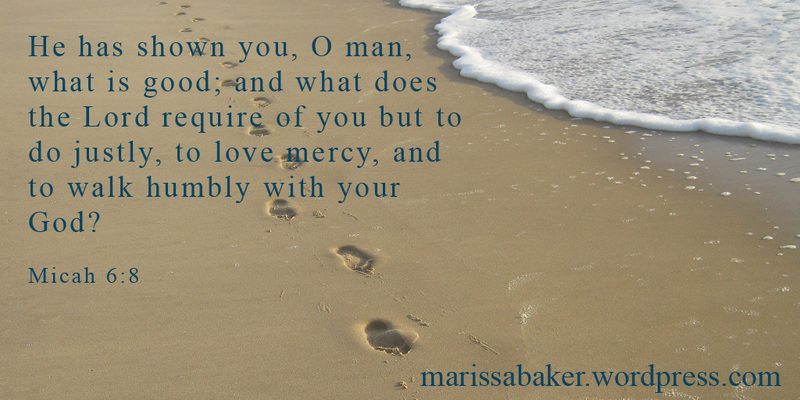 What comes to mind when you think of humility before God? Do you think about abasing yourself? thinking of yourself less? or thinking less of yourself? During the Feast of Tabernacles this year, a message given at our Feast site contained this gem of wisdom: “Elevating God is the best way to develop a spirit of humility and meekness.” Instead of focusing on abasing self, we focus on exalting God. 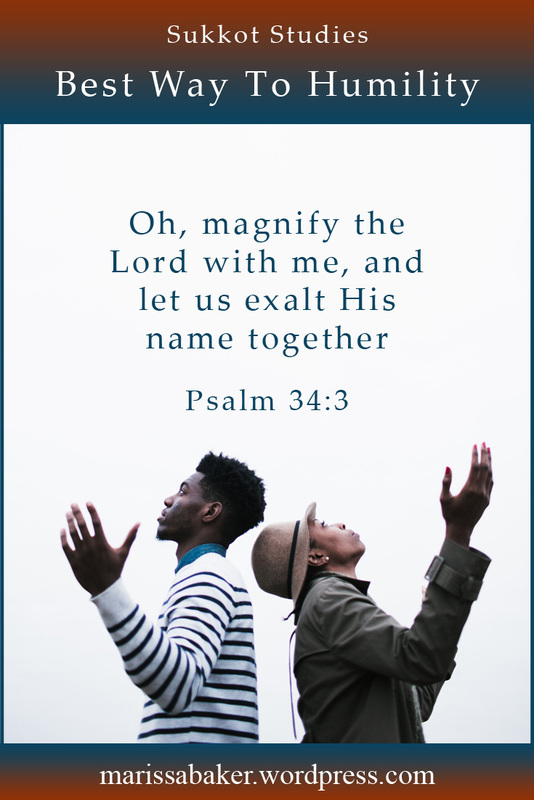 The Psalms are a perfect place to begin studying God’s exaltation. David — the man after God’s own heart — penned many of the psalms. In his words of praise, we see an attitude of humility inspired by an awe of the Creator. Gladness probably isn’t the first word we’d associate with humility, and yet that’s what David does. Exalting God fills the humble with joy, and it also increases their humility. This carries over in the the New Testament as well, which we can see in Jesus’ first recorded sermon. He says the “poor in spirit” have “the kingdom of heaven” and that the meek “shall inherit the earth” (Matt. 5:3, 5). Then near the end of the Beatitudes, He tells people to “Rejoice and be exceedingly glad” when they are “persecuted for righteousness’ sake” (Matt. 12, 10). I suspect that’s impossible without an attitude of compete submission to God and a desire to find your joy in and glorify Him. John the Baptist is an excellent example of humility that exalts God. He consistently identified himself simply as a tool, a messenger whose sole purpose was to point others to Messiah. Every time someone asked about John, he pointed them to Jesus instead. Later, after Jesus’ ministry began, John had to deal with people who seemed worried that Jesus was undercutting John’s fame (John. 3:22-26). Once again, John handled this by stepping out of the way and finding joy in his Lord’s exaltation. Jesus Himself did much the same thing while here on the earth. He “humbled Himself and became obedient to the point of death” as an example to us (Phil 2:8). He consistently honored his Father, and did not glorfy Himself. Jesus Christ — God in the flesh — was humble and meek (Matt. 11:29; 2 Cor. 10:1). We who are flawed, imperfect sinners have far more reason for humility. As those rescued from sin and brought from death into life, we have even more cause to exalt our Savior and God. Humility is an essential quality in the family of God. Our Messiah modeled it, the people of faith all had it, and we must develop it to receive a reward. Our humility and meekness will be rewarded. There’s an element of ironic humor in the fact that the people who refuse to humble themselves will lose the glory they seek in this life, while those who submit to God and don’t care about themselves will be exalted. This is the pattern Christ modeled for us — submit to God’s will, be humble, and He will exalt you (Phil 2:8-9). One of the most incredible things about Christ’s exaltation is His desire to share His glory with us. 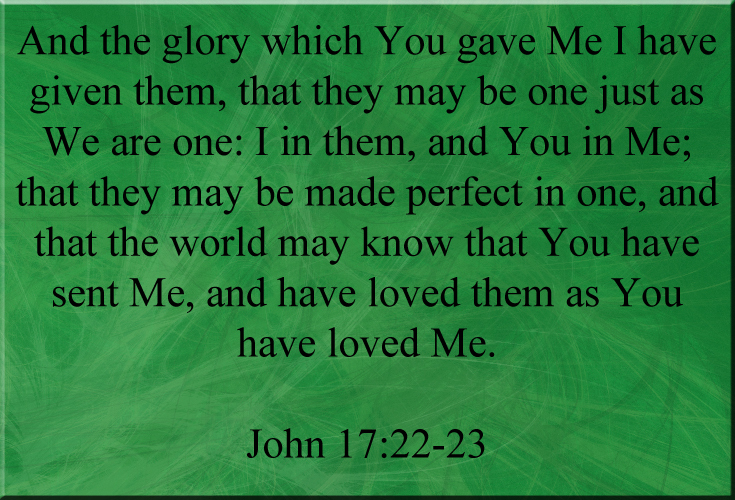 In His John 17 prayer, He talks about giving His disciples “the glory which You [Father] gave Me,” and prays that in the future His followers “may be with Me where I am, that they may behold My glory” (John 17:22, 24). Glorifying Jesus and exalting our Father can only lead to our good. It’s the best path to humility, it gives a proper view of God, and it multiplies our joy. At this point, we’re starting to see something incredible, something glorious, is being discussed here in John 17. We see Jesus and the Father glorifying each other, and Jesus sharing His glory with us. That last part is the one which most intrigues me. What does it mean? As Zodhates shifts his discussion to a Christian’s future glory, he says that doxa does not refer only to an outwardly glorious appearance, but to a glory within that makes the outside splendid. Doxa‘s derivative, doxazo, means “to glorify, recognize, honor, praise.” Most of Zodniates’ definition for this word in my study Bible is devoted to it’s use in John’s writings. In the writings of John, the doxa of God is the revelation and manifestation of all that He has and is. It is His revelation in which He manifests all the goodness that He is (John 12:28). Since Christ made this manifest, He is said to glorify the Father (John 17:1, 4); or the Father is glorified in Him (John 13:31; 14:13). When Christ is said to be glorified, it means simply that His innate glory is brought to light, made manifest (John 7:39; 11:4; 12:16, 23; 13:31; 17:1, 5). This definition explains several verses we quoted in John 17. Jesus glorified His Father by teaching people about the Father’s glory and revealing His character. God the Father glorified His Son by exalting Him and making His glory manifest in roles like High Priest, Good Shepherd, and Head of All Things to the Church. Their mutual glorification is about revealing Who and what They are to people. John 17:10, where Christ says, “all Mine are Yours, and Yours are Mine, and I am glorified in them,” shows we are to play a role in manifesting Christ’s glory to the world. If Jesus is being glorified in us, then our lives will be testaments to the honor and praise that belong to Him. 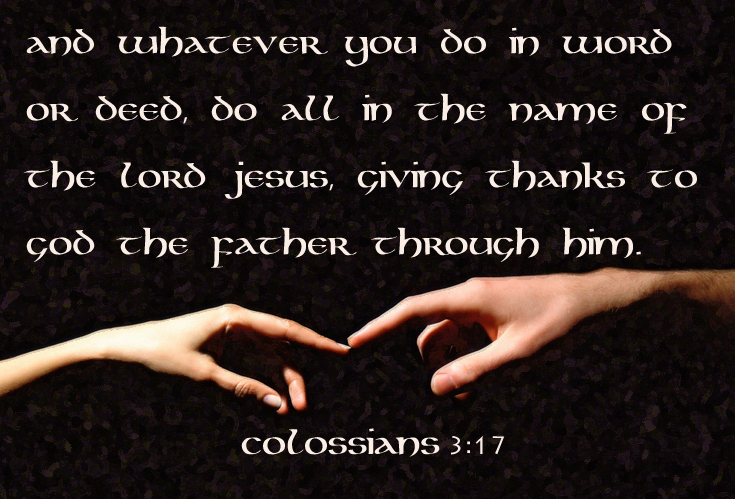 We talked about this idea two weeks ago, in the context of “whatever you do, do all to the glory of God” (1 Cor. 10:31). Our inside character, which comes out in our words and actions, should be proclaiming God’s glory, and attracting honor to Him. The most intriguing verse, however, (to me at least) is when Christ says He’s given us His glory in verse 22. Let’s read some of the verses leading up to that. Jesus makes it clear that He’s talking about future believers — including us — as well as His disciples then. He emphasizes unity among the believers, and between us and God. 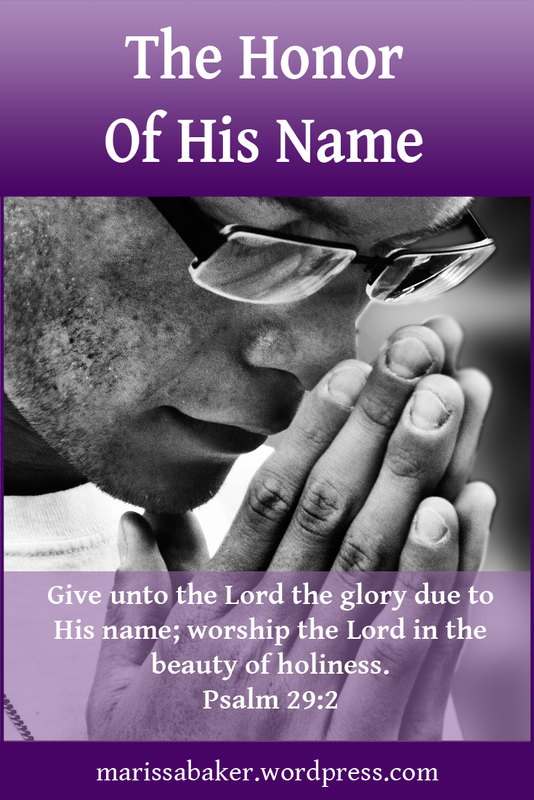 Jesus Christ has given us His glory? It seems astonishing, but that’s what He says. based on the definition of glory, this tells us that Jesus is giving us His form and appearance, His honor, reputation and character. (Just to clarify, I mean “give” in the sense of “share” rather than passing it along). This just boggles my mind. To quote King David, “What is man that You are mindful of him?” (Ps 8:4). We don’t deserve God’s attention, let along a share in His Son’s glory. Yet that is what He is doing in, for, and to us. Christ’s mind in us … His strength in our weakness … His character formed in us … could these be other ways to express the same thing that’s going on when He says, “the glory which You gave Me I have given them”? Christ in us gives us present glory by association with His glory, and He is our hope of future glory where “we shall be like Him, for we shall see Him as He is” (1 John 3:2). I said earlier that glorification in John 17 is connected with revealing Who and what the Father and Jesus Christ are to the world. Their work to glorify us is connected with this same goal. We are called “the light of the world,” and told “Let your light so shine before men, that they may see your good works and glorify your Father in heaven” (Matt. 5:14-16). 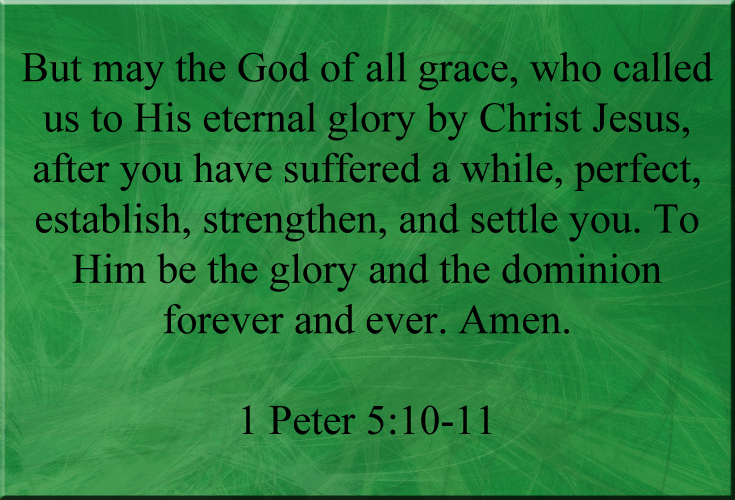 As we press on toward future glory, let’s also be mindful of the glory we’ve been given now as Christ’s own special people, to glorify Him and the Father by how we live.